With this machine embroidery design you will be able to create a fine Christmas stocking with embroidered decoration "in the hoop". The design is available in 2 sizes. The smaller one is for 5x7 (130 x 180 mm) hoops. 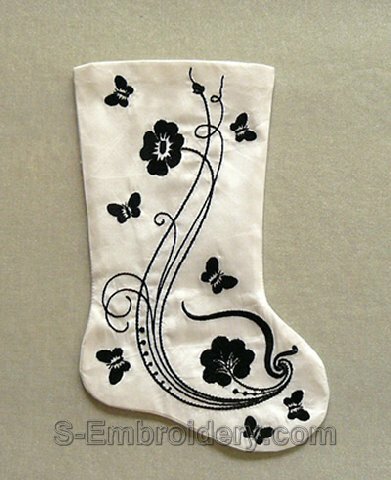 The Christmas stocking we have featured on our web site was created using the large version of the design. 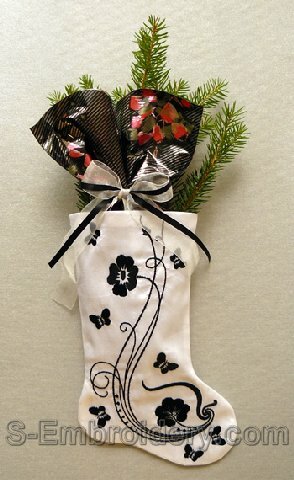 The size of the completed stocking is around 5.6 x 8.7 inches (14.3 x 22 cm). You receive 2 machine embroidery files - one with the embroidery and one to help you create the lining. 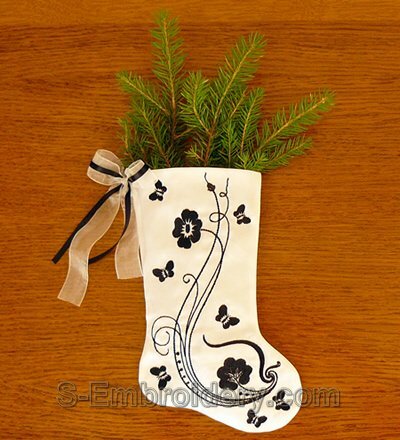 We have also included PDF files with design information and instructions for creating the stocking.